Lady and the Blog → Living → WOW! Video Of Meteor Hitting Into Russia This Morning – Tons Of Different Footage! WOW! Video Of Meteor Hitting Into Russia This Morning – Tons Of Different Footage! HOW CRAZY! 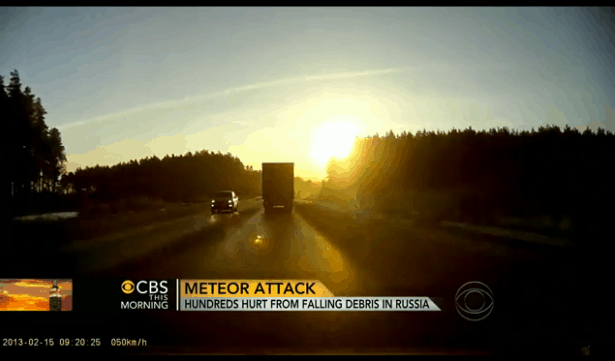 This morning, a meteorite slammed into Russia and multiple people got footage of the hit. Apparently, little pieces of the meteorite kept falling as it flew through the sky and hit down multiple times. Take a look! Full story here.